In addition, GCAL will help you to access a State Funded provider in your area in a non-emergency as well. A nationally accredited Health Care Call Center, crisis center, and partner in the National Suicide Prevention Lifeline, the Behavioral Health Link Crisis call Center is proud to operate the Georgia Crisis and Access Line. 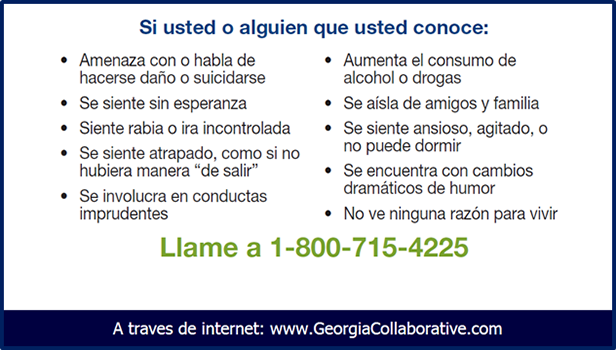 GCAL provides telephonic crisis intervention, clinical triage, and referral for Georgians in need 24/7/365. 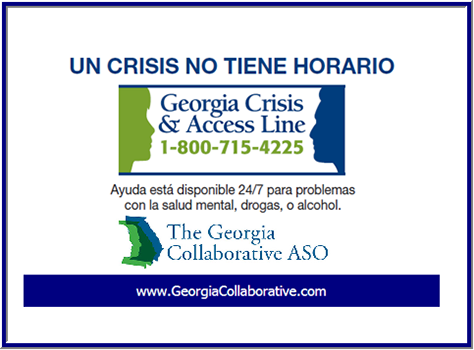 Individuals can access services directly through the provider they choose or through the Georgia Crisis and Access Line (GCAL) 24/7 at 1.800.715.4225. DBHDD has policies in place that address contractual expectations related to access to services for Individuals and sets forth acuity guidelines to specify timeframe expectations based on the urgency of the Individual’s needs.